At YOR Health we have a deep admiration for agencies that protect both consumers and the integrity of our industry. We do our best to go out of our way to get involved, and do our part. This is why YOR Health believes so strongly in the mission and vision of the Direct Selling Association (DSA). 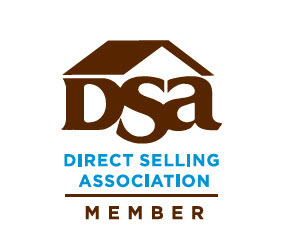 The DSA is one of the most distinguished and respected associations dedicated to preserving the highest code of ethics within the field of Direct Selling. For 100 years they have stayed true to their mission, “To protect, serve and promote the effectiveness of member companies and the independent business people they represent.” The DSA safeguards only the highest standards of business practices and all companies seeking to become a member of their association must undergo a rigorous screening process. This being said, the DSA accepts only the crème de la crème of direct selling companies. The company’s level of performance and inner structure are put under a microscope in order to be eligible for consideration. Any company accepted into the prestigious association pledges to uphold the esteemed Code of Ethics’ trust and confidence that have been a part of the DSA tradition for a century. YOR Health was nominated for the prestigious DSA Rising Star Award, a recognition made to only three direct selling companies that have dedicated themselves to achieving a high standard of excellence in business operations. The team at YOR Health is honored to announce our commemoration as a proud member of the DSA. It is a monumental step for us, as the DSA exemplifies the proven and trusted philosophy we follow here at YOR Health. We have been recognized as more than a company that sells health products—we are a movement committed to a new era of nutrition, healthier living and vitality, the keys to a fulfilling life. YOR Health is grateful for this recognition.